The Frisian peatland area is characterised by an open landscape and low-level meadows with a peat soil. The area consists primarily of grassland for (dairy) cattle farming. The area has important natural characteristics as well, and its special nature is under pressure. The peat is oxidising due to decreased water levels, causing the peat to slowly disappear and the soil to subside. Governmental agencies, agricultural organisations and nature and environmental advocacy groups are working together closely to preserve this unique area and provide room for future developments. 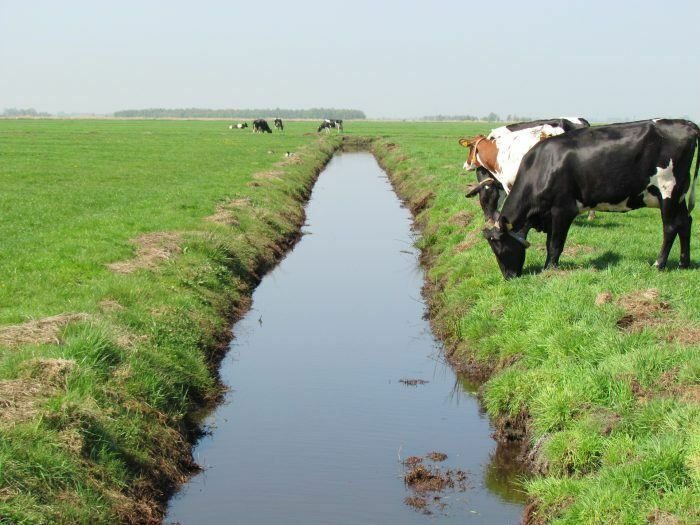 The peatland vision and corresponding implementation programme describe the measures in the Frisian peatland area for slowing down soil subsidence.